On February 3, 2014, Janet Yellen was sworn in as chair of the Federal Reserve. In taking over from Ben Bernanke, Yellen became the first woman to lead the institution that controls much of the financial system of the United States. She was nominated to the post on October 9, 2013 by President Barack Obama. Yellen was born August 13, 1946, in Brooklyn, New York. She graduated from Fort Hamilton High School in Brooklyn and went on to attend Brown University. She received a B.A. in economics from that school in 1967. Yellen then moved to Yale University, from which she earned a Ph.D. in economics in 1971. She became an assistant professor at Harvard, and taught there from 1971 to 1976. While at Harvard, one of her students was Lawrence Summers, who later became Secretary of the Treasury under President Bill Clinton and director of the National Economic Council under Obama. Yellen then moved to a job at the Fed, becoming an economist in its division of international finance. While there, she met fellow economist George Akerlof, whom she married. Akerlof went on to win the 2001 Nobel Prize in economics, sharing it with A. Michael Spence and Joseph Stiglitz. Stiglitz was one of Yellen’s teachers at Yale. In 1978, Yellen moved to Great Britain, teaching at the London School of Economics. She returned to the United States in 1980, accepting a post at the University of California Berkeley. Berkeley became her academic home from then on, taking leaves to accept government posts, but returning to the university when out of government. One of Yellen’s major works at Berkeley was co-authorship of a study dealing with East Germany’s integration into the German economy upon the reunification of the country. In 1993 Yellen endorsed the North American Free Trade Agreement (NAFTA). 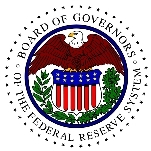 Yellen took a leave from Berkeley in 1994, serving on the Federal Reserve System’s board of governors until 1997. At the time, her nomination was criticized by some because of Yellen’s lack of commercial banking experience. Then, Clinton appointed Yellen as chair of his Council of Economic Advisors, succeeding her old teacher Stiglitz. She served there until 1999, when she returned to California. In 2004, Yellen was made president of the Federal Reserve Bank in San Francisco. She was one of the first to herald the coming financial crisis in 2007, urging tightening of rules for making home loans. She later acknowledged, however, that the San Francisco Fed didn’t do all it could have to ameliorate the crash, particularly in respect to Countrywide Financial’s toxic loan portfolio. Yellen left San Francisco in 2010, when Obama nominated her to be vice chair of the Fed. She was sworn into that post in October of that year. There, she urged the Fed to maintain ultra-low interest rates and to continue bond purchases that would help spur economic growth during the slow recovery. When Bernanke announced his departure as Fed chair, Yellen’s former student Summers was seen as a front-runner to fill the post. However, questions about Summers’ temperament persisted, and Summers withdrew from consideration and Obama nominated Yellen to the post. Yellen and Akerlof have a son, Robert Akerlof, who has followed in his parents’ footsteps. He is an economist who teaches at the University of Warwick in Coventry, England. Yellen’s passions include stamp collecting and going on holiday with stacks of economic books for summer reading. What Happened to the 6-Year-Old Tibetan Boy the Chinese Government Kidnapped 20 Years Ago?